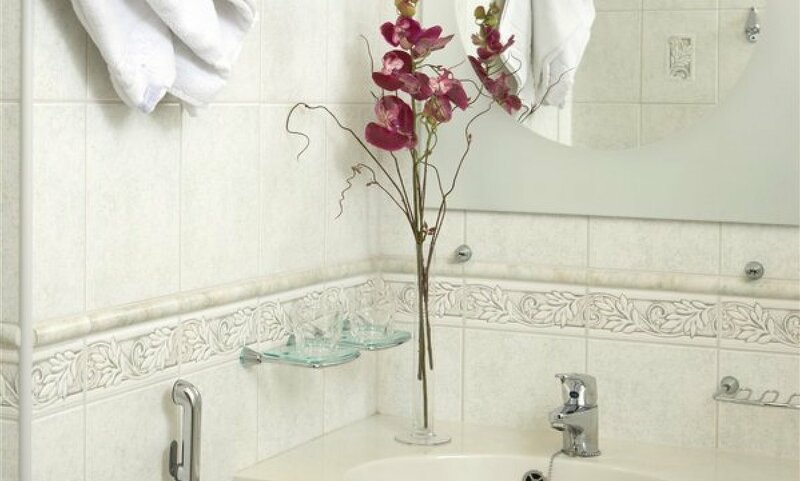 The pleasant and comfortable rooms of the Spa Hotel are perfect for those who appreciate a carefree stay. The rooms are on four floors and about half of them have a balcony. All rooms are non-smoking and have parquet flooring. Pets are allowed in certain designated rooms. 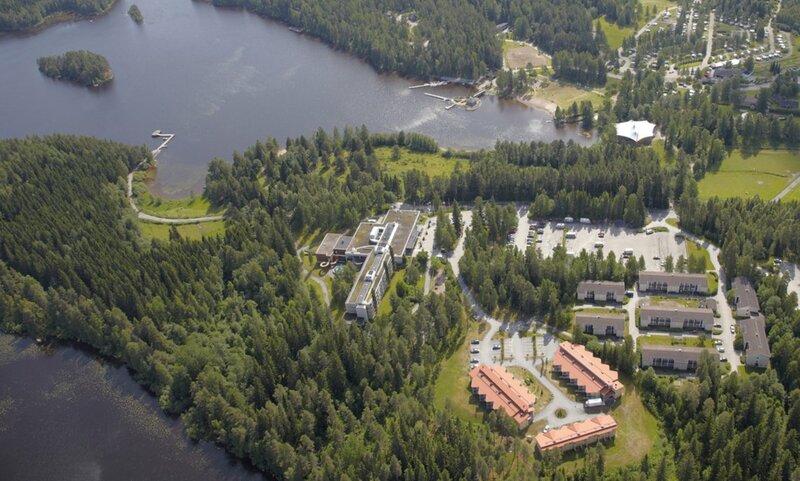 The hotel building also houses the spa pool section, treatment department, gym and restaurants. All rooms have 18 sqm. They are non-smoking and have laminate flooring. Half of them have a balcony. 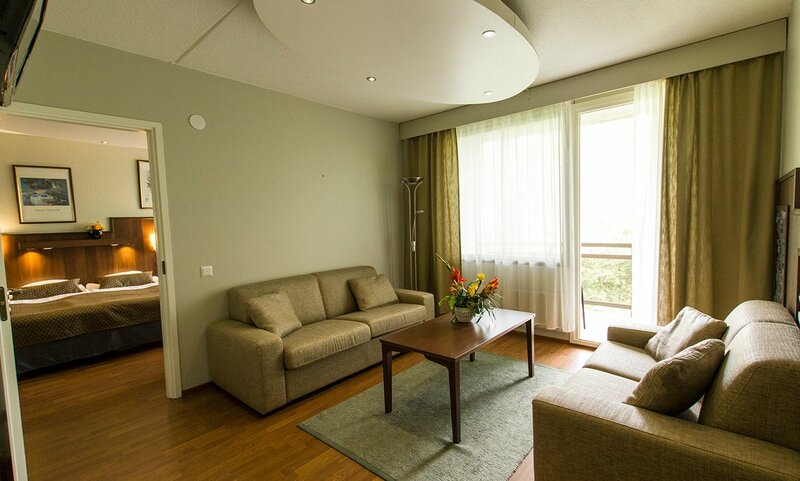 The rooms are furnished with two armchairs, a small table and a desk. One of the armchairs can be converted into an extra bed for one person. A baby cot is available on request. - bathroom with WC/shower and bathrobes. There is free wireless internet access (WiFi) in the rooms. Pets are allowed in certain designated rooms. There are 84 twin/double rooms. All rooms are also in single use. Two of the twin rooms are for the disabled. 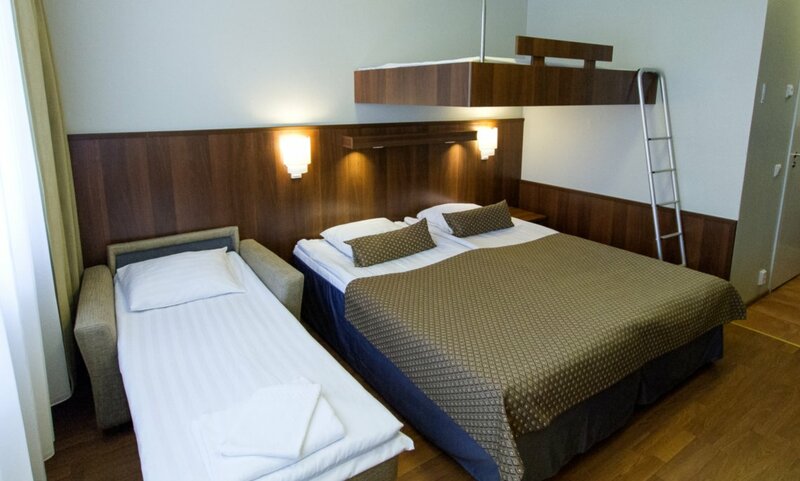 The rooms have 18 sqm and they are located on the hotel lobby floor. Some facilities in the room helps guests having a wheel chair. The bathroom has a shower chair. The room is furnished with one armchair and a desk. The width of the hotel room door is 80 cm and the width of the bathroom door is 60 cm. 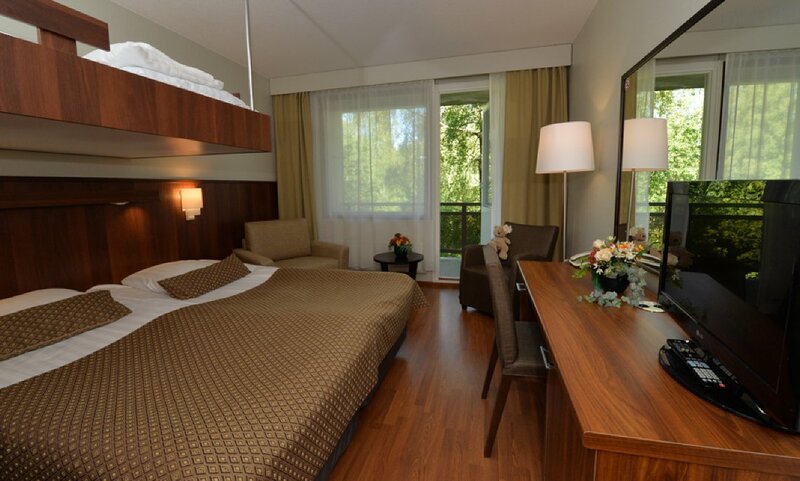 The room is suitable for a person in a wheelchair who stays in the hotel with an assistant. Pets are not allowed in these rooms. 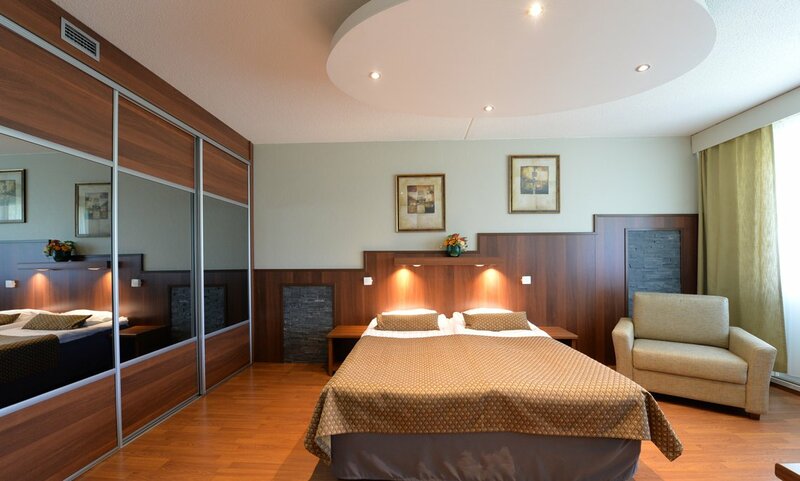 Family rooms are 18 sqm and they are located on the hotel lobby floor. All rooms are are non-smoking and have laminate flooring. Half of them have a balcony. The rooms are furnished with two armchairs, a small table and a desk. The sleeping loft is 120 cm wide and is suitable for 1-2 children under 17 years of age. If two children sleep on the sleeping loft, it is possible to have 5 persons because one of the armchairs can be converted into an extra bed for one person. A baby cot is available on request. There are totally 20 family rooms. Pets are not allowed in family rooms. 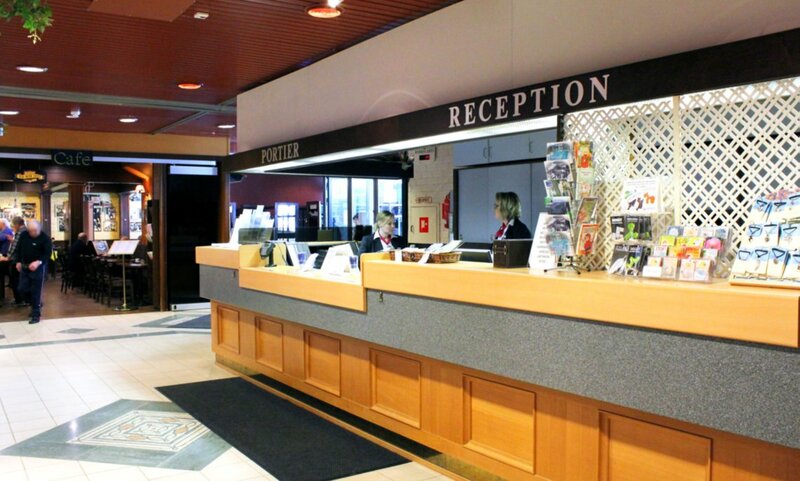 The hotel has two suites.The suites are located on the 3rd and 4th floors. They are non-smoking and have laminate flooring. The living-room has two sofas, a table, a flat-screen TV, a minibar and a balcony. The bathroom has a shower and WC and bathrobe. The suite has free wireless internet access (WiFi). The rooms are equipped with an iron and ironing board. The sofas and armchair can be converted into extra beds. A baby cot is available on request. Pets are not allowed in these rooms. 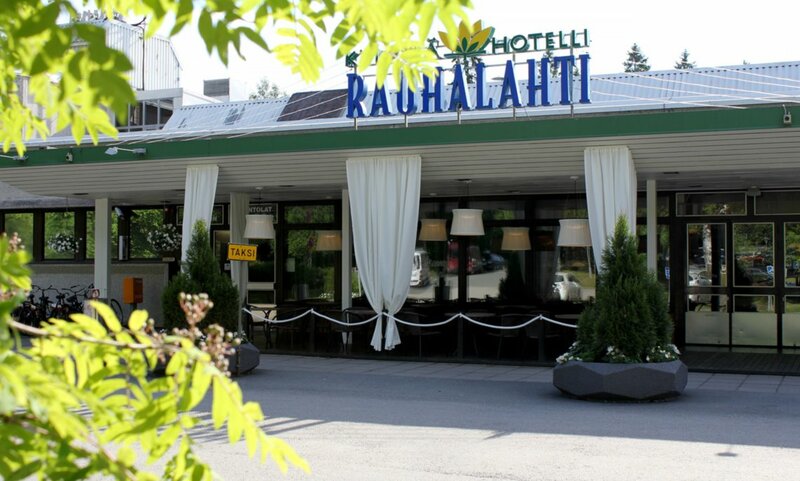 The wedding night is the suite is free of charge for those couples who has their wedding party in one of Rauhalahti's restaurants or in Jätkänkämppä. Calls from wire phones: 0,0835€/call + 0,032 €/min. Calls from mobile phones: 0,192 €/min. When calling from foreign countries, foreign operator defines the prices. Prices incl. VAT 24%.